The color of the paint you choose can make a huge differnece on how much your condo in PCB will sell for. In the most extreeme situations, it can even play a role in a condo not selling at all. Choosing the paint colors when you’re getting ready to put your condominium on the market is a more important decision than you think. When buyers are looking at the newest condos for sale, their first impression of the unit can make all of the difference. Color makes a big impact on buyers and can serve as a powerful tool for attracting prospective bidders. When you think of the word “home”, you think of safe and cozy right? REALTORS usually recommend white, tan and gray shades for the exterior, leaving potential buyers with a more positive vibe. Unlike condominiums, blue houses are very popular, even red houses can work if its used in small doses. 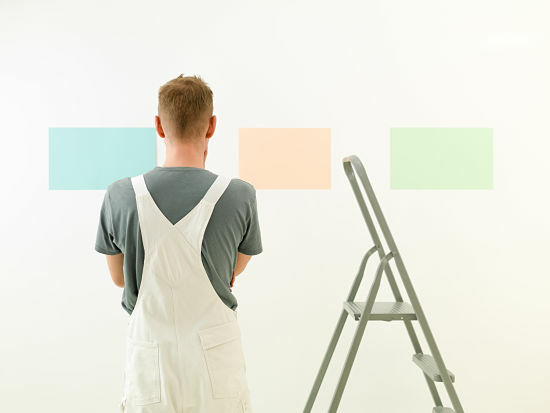 Overall, any neutral or traditional color is best to use if you’re planning to repaint your condominium before selling. You want something you wouldn’t get tired of looking at day after day. According to Consumer Reports, an exterior paint job can potentially raise the value of your condo from 2-5%. Painting your home is also the most cost affective way to spice up the appearance. Installing vinyl, although very popular, can be extremely pricy. Buyers also don’t have to worry with spending a ton of money out of pocket to make repairs to the outside of the home. Paint can last up to 20 years if you choose the right brand of paint. 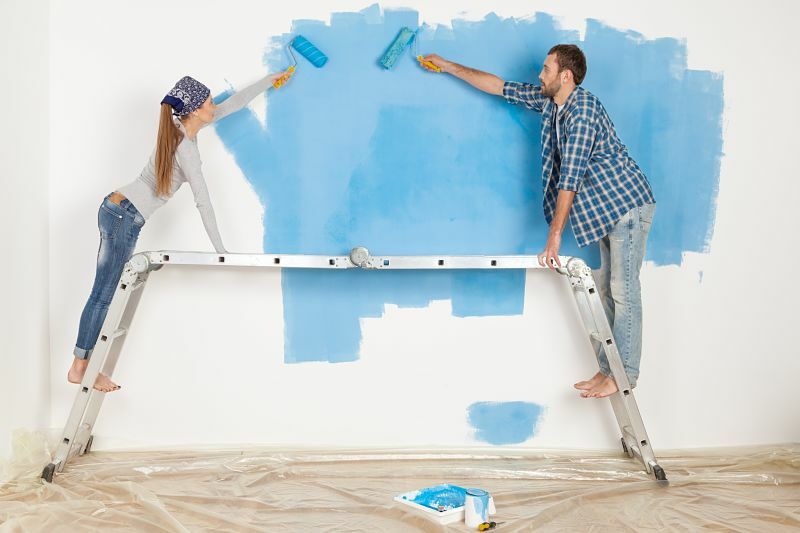 According to Reader’s Digest, James Martin has been hired by many landlords and homeowners for his advice on repainting their home to make it more appealing, increase the market value, and improve occupancy rates. Here are a few tips from him that can be useful when you need a little extra help choosing the colors best for you. Perception of color is very relative- for example, when you put tan next to pure white, it will look beige. But if you put it next to dark green, it will look off white. Always use a sheet of white paper as a reference when picking shades. Hold the fan deck up to the piece of paper so you know how it will look next to your white trim. Always use darker colors towards the bottom of the house to avoid creating an uncomfortable or top heavy feel, says Martin. Always be sure to bring your colors out into the right lighting so you can see how it will look in the sunlight, versus florescent lighting in stores. This will make a huge difference after you apply the paint. Many home sellers just go off the color panel in the store and don’t think twice about holding it up outside in the natural sunlight to get a better feel of how the final product will look. When choosing colors for the inside of your home however, the colors recommended are a lot different than you would think. Zillow recently posted an article stating homes with yellow kitchens, or creamy colors with a yellow hue have the highest sale premium as of 2006. Avoid saturated colors, any deep tone can be a huge turn off for the eye. Colors like gray, and terra cotta- which are very popular, are actually sold $1,100 less than expected. When you look in most home decorating magazines you see a lot of white walls, in reality white can come off as cold and sterile. As you choose your bedroom color, you should be very careful. The bedroom is the most personal room in the house. Obviously you should stay away from bright colors like Red, orange or purple. Colors like light green, or khaki are peaceful, and very popular for the bedroom. For your living room, hallway, spare bathroom or any other “high traffic” area, colors like light gray or dove have been estimated to sell for the most. Anything neutral and calm is best for big areas where people will be gathering in. Overall, you should highly consider investing in a new paint job if you are interested in selling your condo, or utalzing your condo as a vacation rental. Be sure to do your research, and keep up with the newest trends around the time you are planning to sell. Popular colors are always changing, but you can never go wrong with neutral timeless shades. Exterior painting should be your first priority if you are on a budget, then focus on the biggest rooms in your home. Especially your kitchen and living room, this is where perspective buyers will look when making the final decisions.